Whitney has been working hard in the gym to get better at gymnastics. Sometimes it's nice to get a little break from gymnastics and just take a walk. 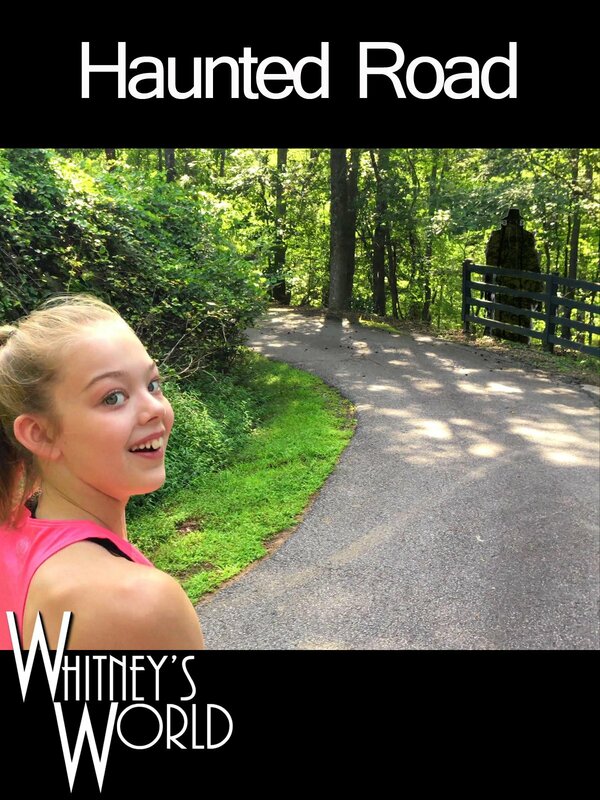 Here Whitney imagines the road she is walking on is haunted by ghosts and surrounded by vicious dogs. Luckily, she makes it back to safety with only a mildly twisted ankle.